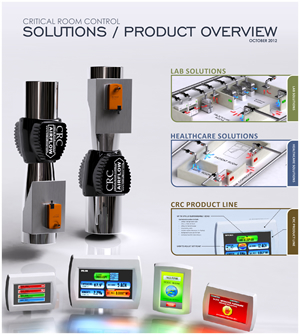 Press Release: CRC releases industry changing closed loop venturi air valve model CRC-CLV – Technology and innovation has lead to the development of the Critical Room Control CLV (Closed Loop Valve). Designed for critical environments that adhere to stringent ventilation requirements where it is imperative to verify that desired operating conditions are being met. The CLV’s energy efficient design eliminates high static requirements, limited operating range, and 1960’s style mechanical plungers found in traditional systems. When facilities with critical spaces require verifiable systems - CRC is one of the few companies that can respond with “yes we do actually measure what we control”.